Today is Cinco de Mayo. This day commemorates the Mexican army’s 1862 victory over France in the Battle of Puebla (not Mexican independence day as is commonly believed), but is more widely observed in the United States as a celebration of Mexican heritage and pride. 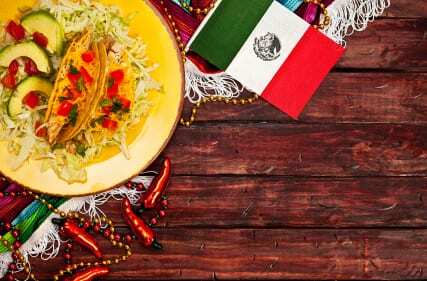 There are different ways to celebrate Mexican culture – fiestas around the country host mariachi performances and a trip to a taqueria shouldn’t be missed. Another way to celebrate Mexican heritage is through DNA. I reached out to my good friend Miguel who hails from the state of Jalisco in Mexico to see what he’s discovered about his ancestry through 23andMe’s Personal Genome Service. Like many Mexicans, Miguel learned through family stories that he has both Native American and European ancestry. It turns out that roughly 69% of his DNA traces to Europe, 28% is suggestive of Native American ancestry, and about 3% traces to Africa. He’s been told that his Native American ancestry comes from his maternal side and this was confirmed by investigating his maternal line. Miguel’s maternal lineage (C1c) is very old and typically found in Native Americans and native Asian populations. This data contributed to 23andMe’s Native American Ancestry Finder feature proclaiming, “Yes Miguel, it looks likely that you have Native American ancestry”. His European ancestry comes from his father’s side and this was confirmed by investigating his paternal line (R1b1b2a1a2f), an offshoot of the most common line in western Europe (R1b1b2) and found at high frequency in Basque populations. This fits with what Miguel’s been told about his European roots. 23andMe customers can learn all about their ancestry in their account. Perhaps the most eye-catching part of Miguel’s DNA voyage is found in his Ancestry Finder profile (see figure below). This feature combines DNA matches (segments of DNA you share with other 23andMe customers) with self-reported ancestry data obtained from our Where Are You From? survey. Based on his results, he shares DNA with several other 23andMe customers who have Mexican and South American ancestors. Even if you don’t have Mexican ancestry like Miguel, we wish all of you a happy Cinco de Mayo. Go get your taco and toast to Miguel for helping us discover that DNA can help you “cinco” in on your ancestry! Interested in ancestry? Read about how Sheridan got up to speed on her ancestry and get an overview of the breadth 23andMe’s ancestry features. DNA can also offer clues about Irish ancestry.